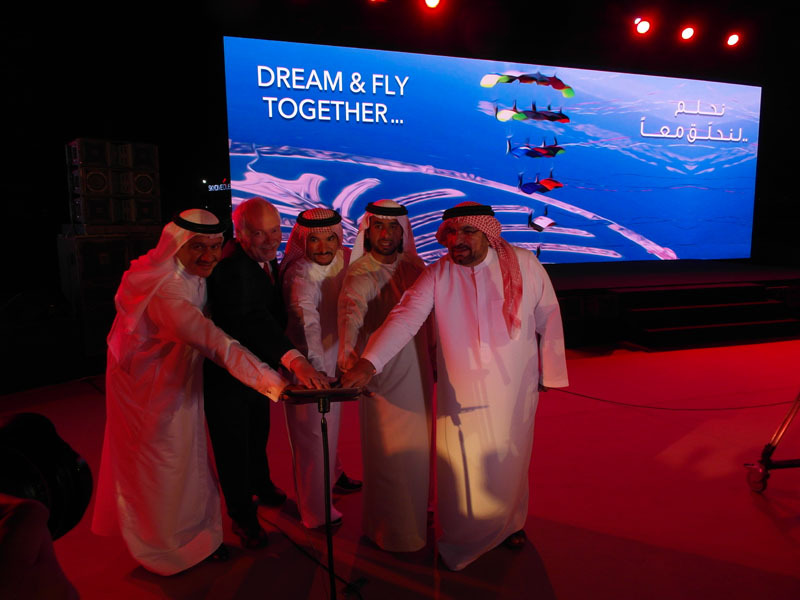 The ceremony started with speeches from His Excellency Saeed Mohammed Hareb, CHAIRMAN of the Higher Organising Committee for the FAI World Air Games Dubai 2015, and from Dr. John Grubbström, FAI President. 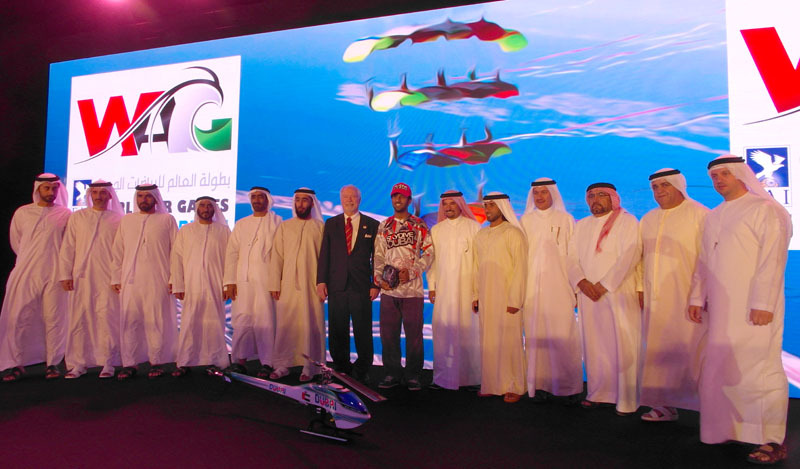 Many well-known people in the aviation world and aviation officials were present for the occasion, including His Excellency Nasser Al Neyadi, President of the Emirates Aerosports Federation, His Excellency Yousif al Hammadi, Director of the FAI World Air Games Dubai and FAI Secretary General Susanne Schödel. 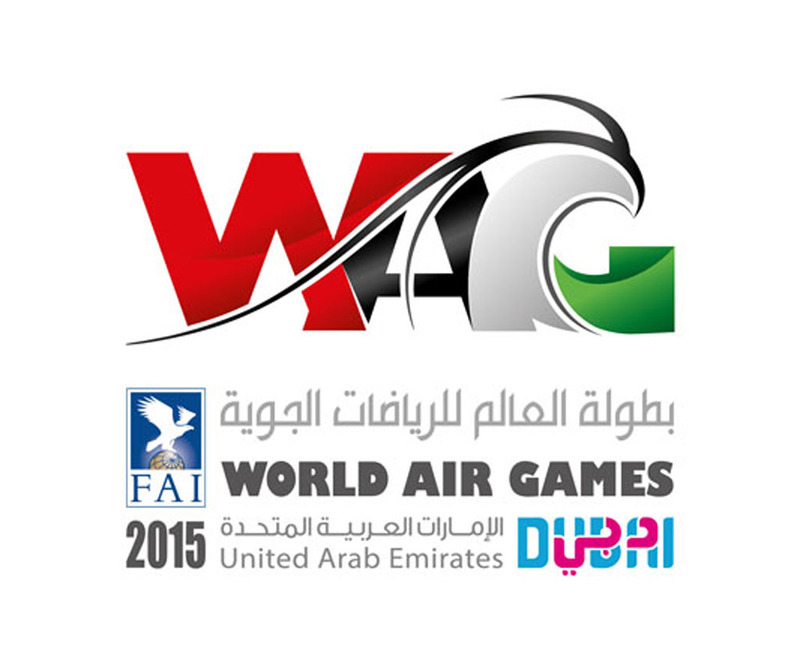 They had a CHANCEto see demonstration flights of radio-controlled helicopters, which gave them an insight into the fantastic competitions which will take place at the FAI World Air Games from 1 to 12 December 2015. The ceremony also featured an overview of the Games and of the sports that have been selected to be on the programme for the event.